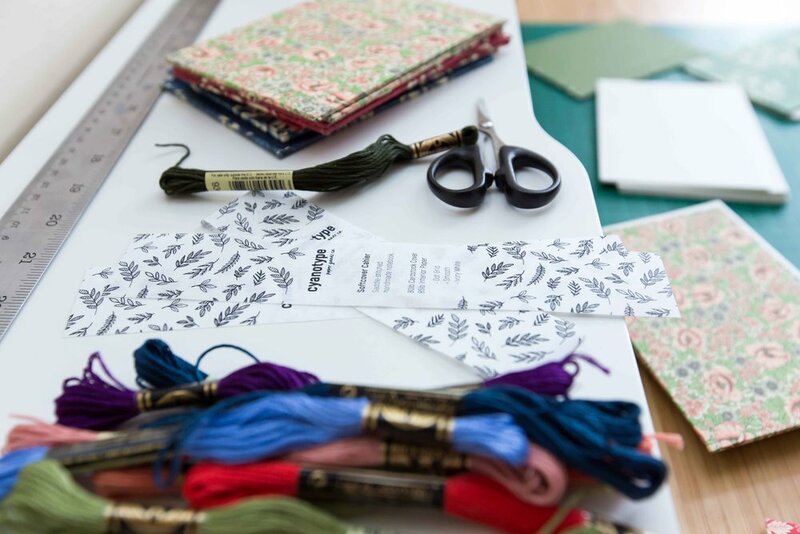 Janelle Holod, of Cyanotype Paper Goods, hand-stitches beautiful books together here in Edmonton. 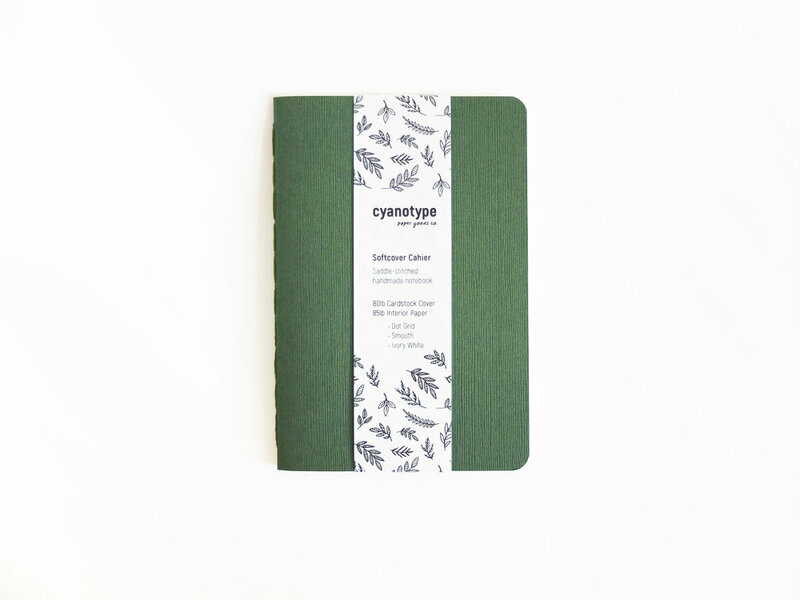 Cyanotype makes gorgeous and functional notebooks in small editions. 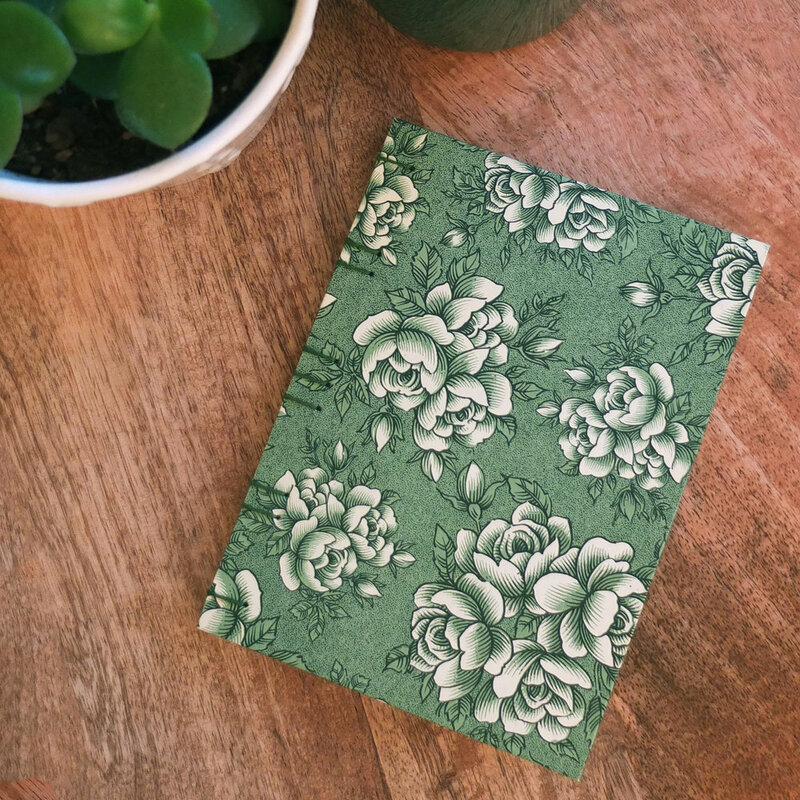 These small rotations of books allow Janelle to create unique books to suit whatever new patterns she finds. Not shy of vending with Bison, this is Cyanotypes second time selling with us and we are thrilled to have her back! You can follow Cyanotypes progress on instagram (@cyanotypepaper) and twitter (@janelleholoddes). Read on down below to see what inspires Janelle to create! CPG:I always like to be doing something, if I have some free time I'm always looking for a good project to keep me busy. Making is a great outlet for me, because I can be doing the physical making, future planning, or designing something new. CPG: I'm launching books with my own designs on them, which is pretty exciting. CPG: I'm looking at getting some help with production so that I can put out a day planner - I've been doing a lot of research on layouts and how people use their planners so I can design a good layout. CPG: Jessica Hische is a huge inspiration for side projects, Elizabeth Olwen and Marimekko are also current favorites since I'm working on my surface designs.